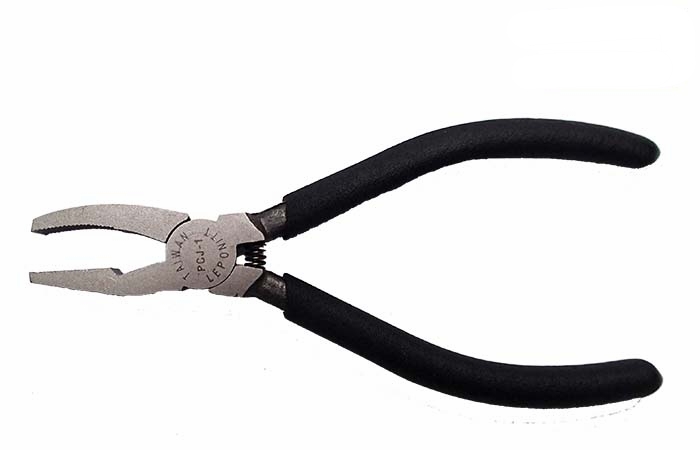 3/8"(10mm) serrated jaw; 6"(152mm) long for controlled nibbling on an uneven scored line or as breaking pliers for parting thin scrap from scored line. The professionals choice and ideal for 2~6mmT glass use. High frequency wave tempered treatment on the grozer tip. High quality carbon steel axis of grozer. With special chemical treatment on surface to anti-rust. 3/8"(10mm) jaw; 6-1/2" (165mm) long. Narrow jaw for precise breaker/grozer. Ideal for 2~6mmT glass use. 7/8"(21mm) jaw; 8"(200mm) long; Heavy duty breaker and ideal for 2~12mmT glass use. 7/8"(21mm) jaw; 8"(200mm) long; Same design with PCJ-4 but with Serrated Jaw to help working. 1/8"(3mm) serrated jaw; 6 1/8"(155mm) long. 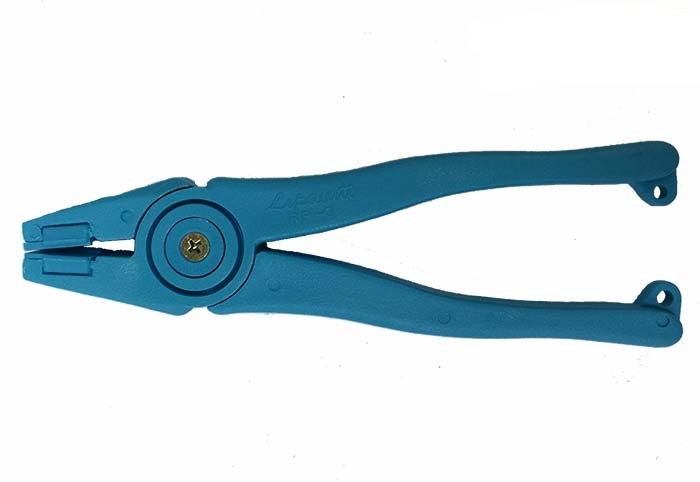 Spring-loaded, serrated jaw, plastic coated handle; ideal for 2~5mmT glass use. 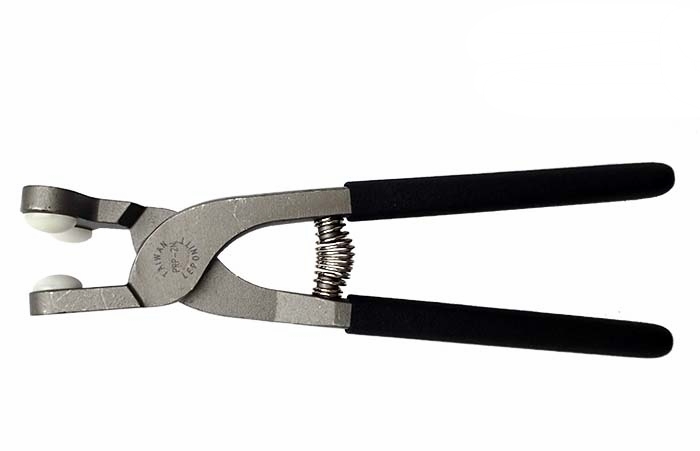 Unique design makes it a 3-1 plier; a breaker, runner and grozer. Fishlip grozer can clean out a deep inside curve even with a score cut. Smooth jaw and ideal for 2~5mmT glass use. Made of Chromium High Carbon Stee, with special treatment on surface. It’s easy to control for breaking and grozing the glass even without scoring. 6” (152mm) long, narrow jaw for precise grozing, 5/32” (4mm) serrated jaw. With Chromium High Carbon Steel and special design. Durable and sharp, easy to control for breaking and grozing glass even without scoring. 8"(200mm) long, ideal for 2~6mmT glass. Designed for shape circle and pattern glass. 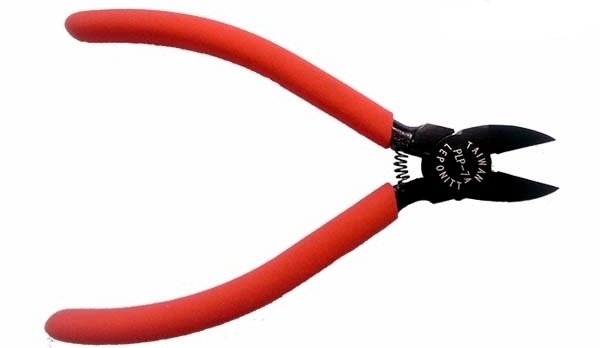 Plastic running plier with lightweight. Has extra jaw inserts to be replaced (item no. PRP-3P). 25mm wide jaw; 8"(200mm) long. Replacement rubbers ensure longer life. With adjustable screw to prevent crushing glass. When using it, put concave part of jaw on upper part of glass to run break. Item no. 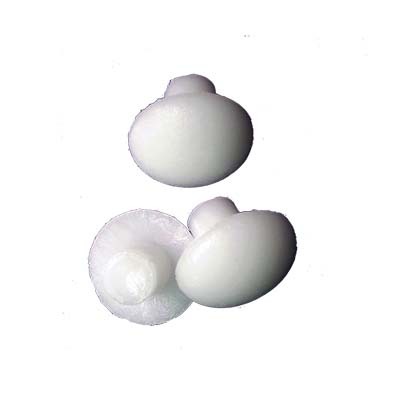 PRP-1-R is replacement rubber for PRP-1. 22mm jaw; 6-1/2"(165mm) long. Only 190g and smaller, with brass screw adjustment ensures proper jaw settings for running a score but not crushing the glass. Rubbers cover the jaw to ensure longer life. PRP-7-R replacement rubbers are available. 8"(200mm) long, cutter jaws open to 16mm wide. 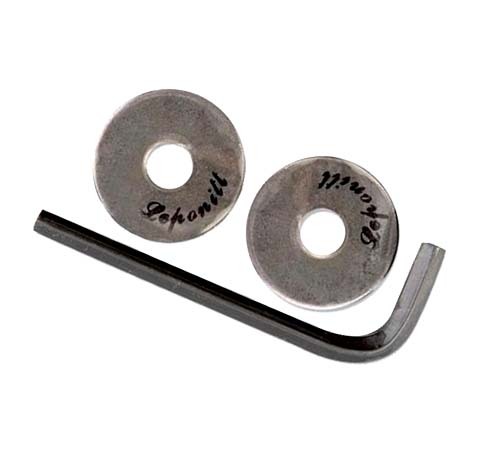 For cutting glass rods, minimum pressure on the hand grips leaves a clean edge on sliced rods. Adjustable centers the rod between cutter heads. Blade edge treated by supersonic harden to ensure in good shape. Skip-free plastic on handle and high carbon steel on axle. Besides lead came, it can also cut brass wire and others. 6"(152mm) long. With spring helps labor-saving. Chrome vanadium steel blade is high hardness and sharper. 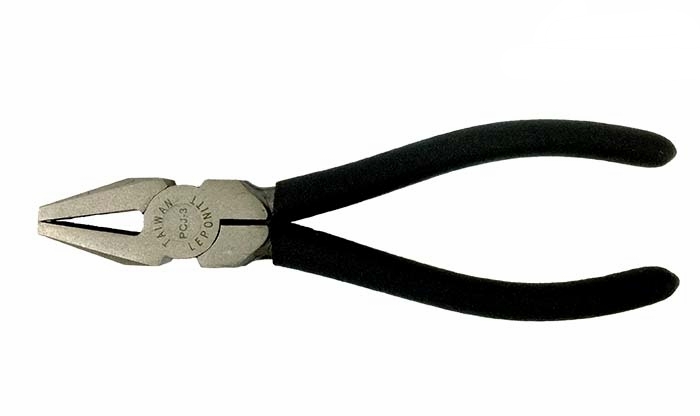 Be easier and more convenient when cutting lead frames and copper wire. 1"(25mm) jaw width, 8-1/2"(220mm) long, ideal for 3~12mmT glass. The flat upper jaw supports the top surface of the glass, while the lower hooked jaw enables glass to be cleanly opened at the cut line. 1"(25mm) jaw width, 11"(280mm) long, breaking up to 16mmT glass. Serrated jaw and blade treated by supersonic harden system. Bette quality by carbon steel alloy body. 8-1/4"(210mm) long, ideal for 5~16mmT glass. Designed for nipping glass in tight area, and for cutting glass in upright position. Suitable for various cut-outs in the glass centre. 8"(200mm) long, ideal for 3~12mmT glass. 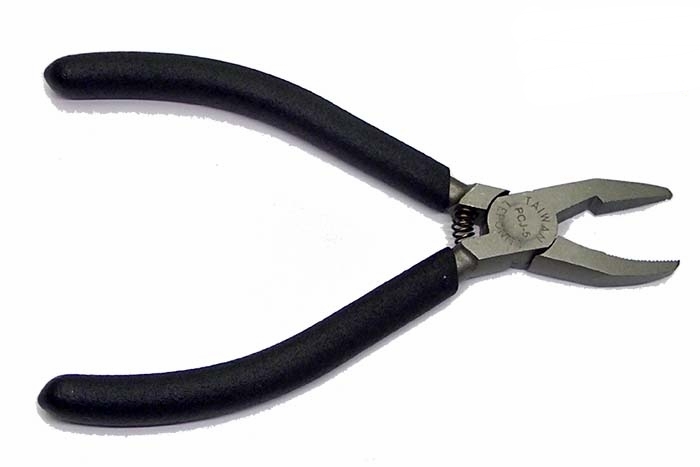 Quality pliers for thick glass use. 8"(200mm) long, ideal for 3~16mmT glass. 9-1/2"(240mm) long, ideal for 6~12mmT glass. With spring for easy cut running. Item no.PRP-20 is spare button for PRP-2N. 9-1/2"(240mm) long, ideal for 4~19mmT glass. Clean smooth edges with just a slight squeeze on handle. 9-1/2"(240mm) long, ideal for 6~25mmT glass. With adjustable screw to find suitable cutting space. Upper jaw (concave) and lower jaw (convex) each pair. Use environment material, and with "Leponitt" logo on upper jaw rubber to help you identify rubbers easily when replace rubbers. Upper jaw (concave) and lower jaw (convex) each pair. Each unit by 2 carbide wheels and L shape screw driver. Quality shrink-pack each unit.